It’s time for the Big Dance—and President Obama is ready. 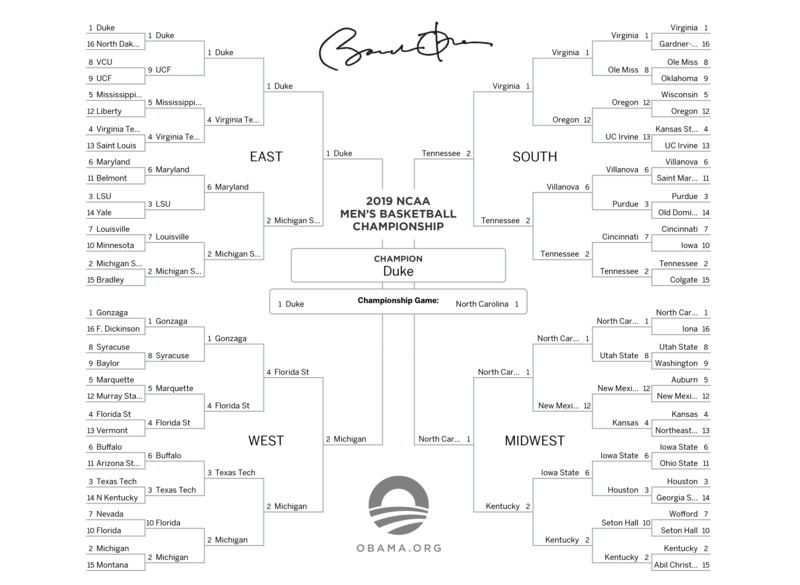 Check out his brackets for the Men’s and Women’s NCAA Basketball Championship below. 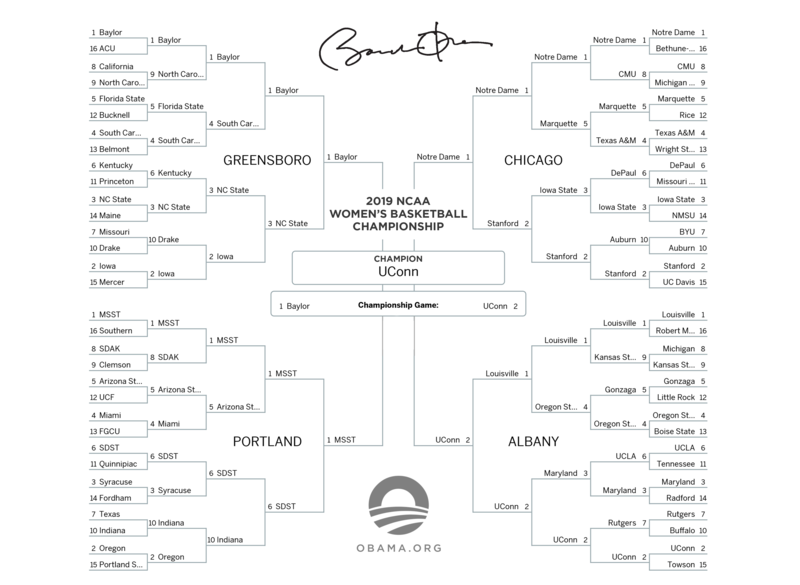 Take a look at President Obama’s brackets for the Men’s and Women’s NCAA Basketball Championship below—and to keep up with President Obama, the Obama Foundation and the construction of the Obama Presidential Center in Chicago, make sure to sign up here! In addition to a Presidential Museum and a branch of the Chicago Public Library, the Obama Presidential Center will feature a Program, Athletic, and Activity Center, giving local community members a beautiful new place to exercise, practice, compete—and come together to develop the skills to help them lead. And yes, there will be a basketball court. Tell us your ideas for the athletic center we’re building in Chicago!